We had a great time in St. Petersburg. Transportation came off without a hitch and our guide was a delight! Very friendly, so knowledgeable, and interesting. The weather cooperated completely, with but just one late afternoon rain. 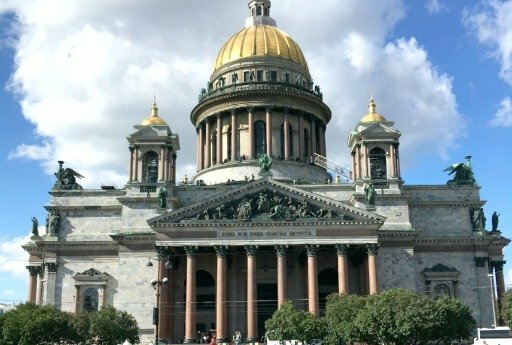 The history and pageantry of Imperial Russia came alive for us during our time in St. Petersburg. As an aside, we also got a chance to have dinner one evening at Teplo and it was great! Very good food, a welcoming ambiance, and helpful and friendly staff to make us feel at ease. It's been a little longer trip than we usually take, but Russia was a highlight I did not want us to miss. Thanks again!